Wow great gift.....for someone special who likes interesting things. A radio with moving red lips that sing to you. 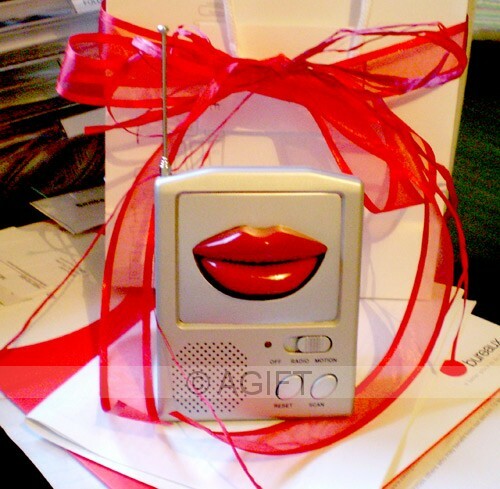 Silver auto scan FM radio with synchronised mouth movement.